PORT-OF-SPAIN — The government of Trinidad and Tobago has reportedly confirmed that nine of its citizens will be deported from Turkey after being detained while trying to enter Syria or Iraq to join the Islamic State group. The Trinidad and Tobago Guardian said in an article published Wednesday that Attorney General Faris al-Rawi told it that the nine will be under surveillance and could face criminal charges for involvement with a terrorist group. “At the end of the day, anybody in an alleged circumstance of terrorism has to face the courts. There is due process and it must be done fairly but at the same time you have to take an intelligence-based approach to this,” al-Rawi was quoted as telling the newspaper. The attorney general could not be reached for comment, but the national security minister later appeared to contradict al-Rawi. National Security Minister Edmund Dillon said the Trinidad government was in touch with Turkey through diplomatic offices in London and Caracas, Venezuela, but had not yet confirmed whether any citizens had been detained or the circumstances. “As to whether the individuals, if proven to be nationals and are deported back to Trinidad, will face charges on arrival, we shall have to examine all of the circumstances,” Dillon said. 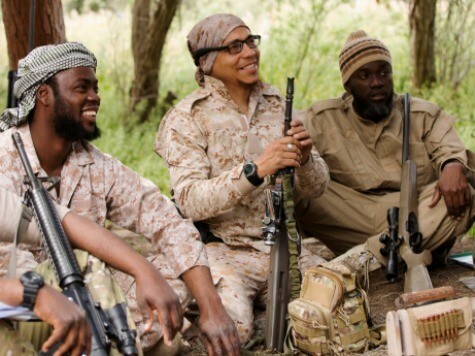 In its most recent Country Report on Terrorism, the State Department said that more than 70 nationals of Trinidad and Tobago are believed to be fighting with the Islamic State group in Syria. 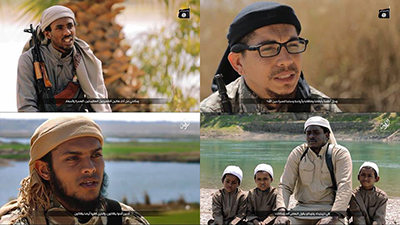 A recent online issue of an Islamic State magazine included a profile and interview with a man who said he was a Trinidadian citizen who converted from Christianity to Islam and has since become a sniper for the group.